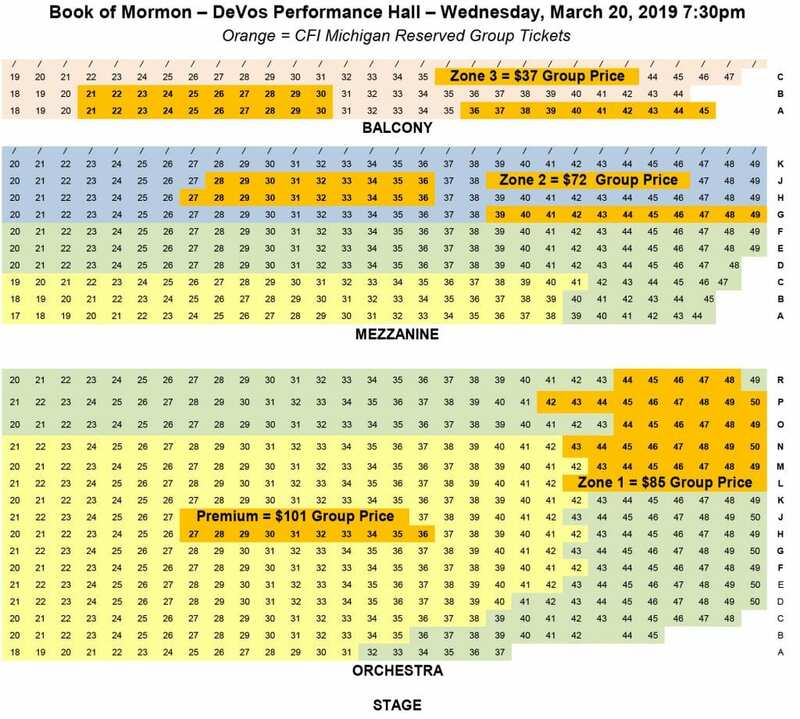 Join your CFI Michigan friends for the Book of Mormon at DeVos Performance Hall on Wednesday, March 20, 2019 at 7:30pm. We have reserved tickets in the Orchestra, Mezzanine and Balcony – see Orange sections on map below. Tickets will be assigned by section on a first-come, first-served basis. If you have any special accomodation needs or questions please email michigan@centerforinquiry.org.